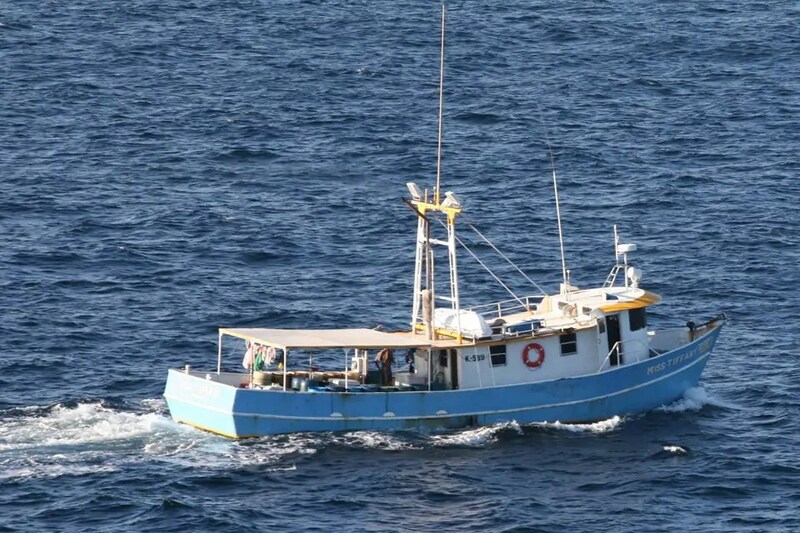 A Jamaican registered fishing vessel busted in the Caribbean sea with over 4,000 pounds of marijuana was heading to Guyana, according to local authorities familiar with the case. The bust took place last Thursday out in the Caribbean sea aboard the fishing vessel “Miss Tiffany”. United States and British Navy patrols in the area carried out the operation. According to a statement, “in a multi-agency operation involving UK and US assets, the fishing vessel Miss Tiffany was detected and one of Wave Knight’s boats was launched to investigate.” The Wave Knight is a British fast fleet tanker. The report said soon after the Royal Fleet Auxiliary (RFA) ship’s arrival, and upon hailing the vessel, the Miss Tiffany’s crew members were seen jettisoning a number of suspect packages overboard. “With multiple bales now being jettisoned by the crew and an urgent need to stop the fishing vessel, the decision was taken to immediately launch a second boat from Wave Knight to help recover the weighted bales before they sank. A total of 55 bales were eventually recovered from the sea”, the report added. British Defence Secretary Philip Hammond hailed the work of the US and British authorities. He said “the work of the Royal Navy across the globe, and in particular in the Caribbean, on counter-narcotics operations is vital to protecting us here at home. British officials said although the crew of Wave Knight were unable to recover all the jettisoned bales before they sank, the total disruption was estimated as being in the region of 1,800 kilograms with an estimated street value of over US$15 Million. The crew members of the vessel were arrested and handed over to Jamaican authorities. One Response to "Guyana bound vessel busted with 4,000 lbs of marijuana"